As the largest city in Alberta, Canada; Calgary offers much to see and do for travellers. For those looking to experience go beyond the city, it is also the perfect headquarters, and our Calgary International Airport RV rentals and campervan hire are the way to see it all. Having an RV hire means you can explore this vast area without the worries of finding a hotel or hauling around camping gear. Whether you are exploring the Rockies to the west or driving across the Eastern prairies, our motorhome rental is the best option. An over 900 km trek, passing through beautiful rolling hills, majestic mountains and sparkling beaches, traveling from Calgary to Vancouver is a one of a kind experience. Starting out on highway 1, your journey begins in the stunning Canadian Rockies. For some fun, you can stop in Banff National Park or camp out near Lake Louise and enjoy numerous water sports in the summer. Next, you may choose to visit Glacier National Park and take a tour of these natural wonders. Along the way, you may wish to stop off at one of several national parks, and your RV rental makes it easy to stay overnight and enjoy the natural beauty of the area without having to worry about lugging around heavy camping gear. Once you reach Vancouver, we also make it easy for you to get home, with our Vancouver Airport rental location. You can simply leave your recreational vehicle, motorhome rental or campervan hire with us, never having to worry about traveling back to Calgary. 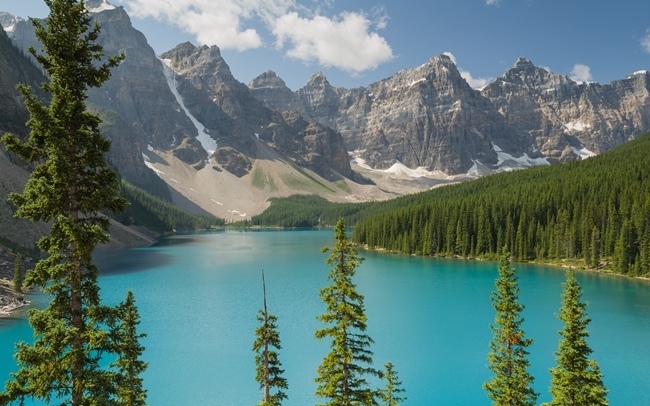 Filled with scenic highways and beautiful national parks, Alberta is just waiting to be explored; and your campervan hire is the way to see it all. A short drive down highway 40 will lead you to the beautiful Kananaskis Country. Filled with majestic mountain peaks, meandering streams and dense forest; this 4,000 square kilometre area is the place to see wildlife and simply enjoy the beauty of Western Canada. Often called the world’s most scenic drive, Icefields Parkway is not to be missed. To get to this amazing drive, take your motorhome rental 350 km northwest of Calgary across highway 16. After passing Banff, you will arrive at the start of this drive, Highway 93. Once on the road you will find several stunning highlights. You could stop at Peyto Lake for some serenity, visit the 100 metre Weeping Falls or climb mountains at Big Bend and Big Hill. Next, stop overnight at the Wilcox Creek Campground before heading off to hike the Athabasca Glacier. No matter the adventure you are looking for, your Calgary International Airport RV rentals allows you to see it all. With numerous national parks, beautiful locations and small towns to visit; having an RV rental is the best way to see the area. Save time and money by never having to worry about driving back and forth to expensive hotels; and choose our campervan hire in Alberta, Canada.